As one of the famous approaches in the New Age, the whole trend of chakra healing is becoming increasingly popular. Slowly being recognized as part of alternative medicine, chakra healing seeks to cure us on the cosmic energy level. By tapping on key vital energy points that run from our head down to the tip of the spinal cord, this method is believed to relieve or unblock negative energy. Along with this, the New Age also popularized the use of healing crystals. These gemstones are believed to contain the energies and vibrations of the earth. With that, healing crystals are valued for the unique frequencies that they provide, as it aids in other forms of healing. Given such, healing crystals are often used in conjunction with chakra healing. Thus, in this guide, we will have a quick look at 3 general guidelines on how to use both in the same scenario. In doing charka healing, it is crucial to understand that such is governed by a 7-point chakra system. Starting from the Root Chakra and ending on the Crown Chakra, the whole flow of cosmic energy within the human body can be blocked or overactivated when one of these points are not properly regulated. Chakra points are to be understood as pipelines which gives us access to transcendental energy which is deemed essential for us to function properly. With this, step one requires that we know the meaning of each chakra point, because all of them have unique aspects in our life that they regulate. Aside from familiarizing the chakra points, the other step is getting to know our healing crystals. Given that each healing crystal bears unique properties, being able to know such means that we can apply the correct healing crystal. For example, you need to have an idea about how each color relates to a specific property. In this case, black healing crystals are often used to remove negative energy. Knowing the niche of each crystal will allow for an effective and efficient usage, instead of randomly utilizing whatever crystal is there. Having gained the knowledge of both, the crucial step is meditating on our chakra points with the help of healing crystals. Given that each meditation step requires certain sequences and actions, it is important that we can properly incorporate both. 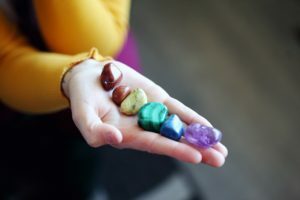 For instance, knowing the specific steps will allow us to use healing crystals as bodily ornaments or accessories during the meditation process. In doing so, the frequencies stored in the healing crystal will match the specific charka point that we need to address. 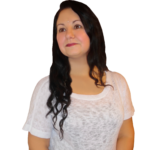 With these general tips, you can have a fundamental understanding of how to incorporate crystals in charka healing. While methods may vary, they share these steps universally. As such, it is up to you to define which tradition to follow. Good luck! Chris is the head writer at Individualogist.com, a spirituality and self discovery website that uses its proprietary archetype quiz to identify people’s dominant personality types.